Dangers of dirty well water can have a major impact on your overall health. While most residential well owners take regular precautions to keep their water supply clean, there may be times when water becomes contaminated due to outside agents. This not only decreases the quality of water, but the dangers of dirty well water can also cause health issues for those exposed to contaminated water. Because there are various external agents that can get into your water supply and cause issues for your well water supply, it is recommended that you have an annual water testing done. You should also reach out to your well water specialist if you suspect the quality of your water is compromised. Let’s take a closer look at the dangers of dirty well water and what you can do if you suspect your water has been contaminated. It is no secret that what we eat and drink has an impact on our health. Just look at all the information about heart health and weight that filters around each day. Just as eating unhealthy food can contribute to poor physical health, one of the dangers of dirty well water is that it puts your overall health at risk. If you consume water that is of poor quality, on a regular basis, you will eventually see the negative effects on your body. 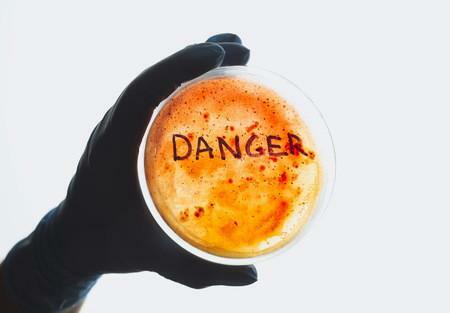 For example, consuming contaminated water can cause your immune system to become unstable. You can also develop kidney stones and other gastrointestinal issues. One of the dangers of dirty well water when it comes to your health is that unclean water contains metals and impurities. When you consume these through your water supply, they can stay in your system for a long period of time and cause damage to your organs, blood vessels, and tissue. Having your well water regularly tested doesn’t just reduce the risk of health issues, it gives you the peace of mind that you and your family are protected. Whether you are an avid gardener or just like to shower your home with beautiful flowers, you know that water is essential to the livelihood of your plants and flowers. Therefore, the quality of the water you use to irrigate or water your flowers should be at its best. Plants and flowers that are watered with contaminated water will be negatively impacted. When you supply your plants and flowers with contaminated water, it will prevent them from developing properly. It may even lead to failure to thrive and cause them to die. Additionally, if you grow crops that produce fruits and vegetables, the contaminants used to irrigate your crops will be transferred to your body when you consume them. When you protect your crops from the dangers of dirty well water, you protect yourself as well. One of the major dangers of dirty well water is the metals and minerals that consume the unclean water. These can be particularly harmful to your appliances and plumbing fixtures. For example, your sinks, bathtubs, dishwasher, washing machine, and other faucets can become damaged. The most common sign of contaminated water damage in appliances and plumbing fixtures is the green or blue stains that appear on fixtures. This damage can lead to expensive repair costs and even the need to replace your expensive appliances. By properly filtering your well water and making sure it is regularly tested and free from contaminants, you can be sure that your investments last for a long time. Now that you more closely understand the dangers of dirty well water, it’s important you take the proper steps to protect your investments and your family. Have your well water regularly tested. If you notice a change in color, smell, or taste, contact your well water specialist immediately to come out and check the integrity of your water supply. The cleaner your water, the safer your home and family. There is no better peace of mind than knowing you’ve taken the right steps to keep your family healthy and safe.